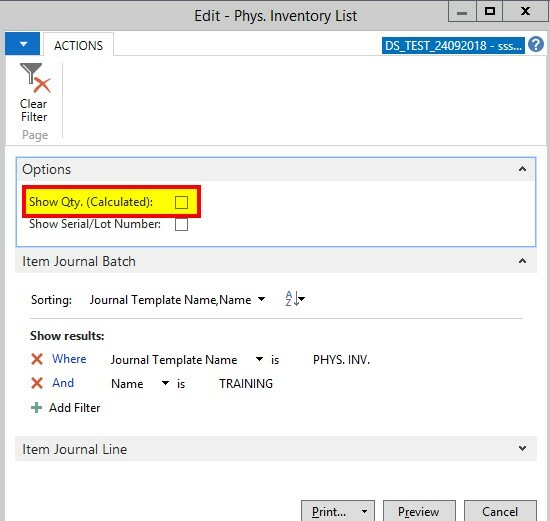 In this blog I will demonstrate how to run a stocktake in basic warehouse configurations in Dynamics NAV. We must take a physical inventory, that is, count the actual items on hand to check if the quantity registered is the same as the physical quantity in stock at the end of a fiscal year, if not more often. If there are differences, we must post them to the item accounts before we do the inventory valuation. Practically we must perform a stock take out of hours. On the “Phys. 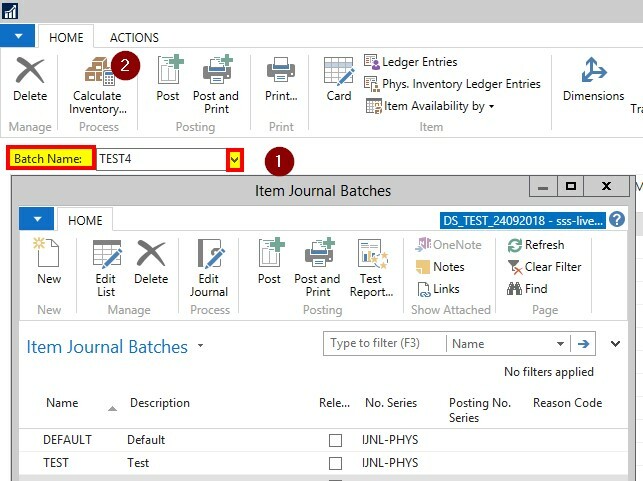 Inventory Journal” window, we must select a “Batch Name”. We can create new batches by clicking on the dropdown on the “Batch Name” field. It is recommended to have separate batches per user responsible to run stocktake. On the request page of “Calculate Inventory”, we must define the “Posting Date” and “Document No.”. We can also choose to include item not on inventory or items without transactions. Additionally, we need to filter for items that are not blocked otherwise NAV will throw an error. We can “Add Filter” -> Where “Blocked” is “No” under the “Item” tab. 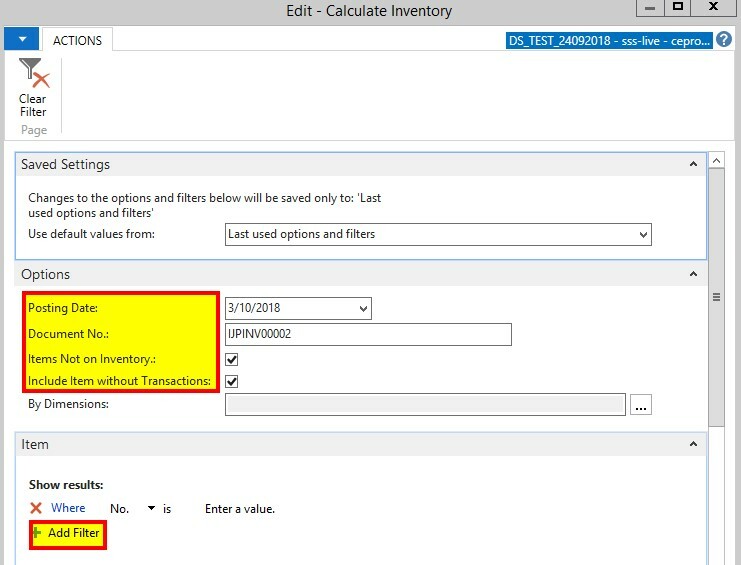 Click “OK” to run the “Calculate Inventory” function. Upon running “Calculate Inventory”, NAV populates all the items that are available and received. The “Qty Calculated” field is system generated quantity. This field is not editable. “Qty (Phys. Inventory)” field defaults to “Qty Calculated”. This field will be updated based on the physical stock count in the warehouse. The “Entry Type” field defaults to “Positive Adjustment”. However, if the “Qty (Phys. Inventory)” is less than “Qty (Calculated) then the “Entry Type” changes to “Negative Adjustment” automatically. We do not need to enter negative quantities in case of low stock count. Print report to physically count items in the warehouse, we can tick “Show Qty” to show “Qty (Calculated)” on the report. “Phys. Inventory List report” must be updated manually when counting stock. We then need to transfer the information/count from the report in to “Qty Physical Inventory” field in NAV. After the field is updated in NAV, we can click on “Post” to post the entries. Please note that NAV will only post adjustments. If the “Qty (Calculated)” is equal to “Qty (Phys. Inventory)” then NAV will not post those items.